Two men have been given a prison sentence for their involvement in a series of burglaries in Horsham and Crawley. Sussex Police sat that James Russell, 30, and Martyn Perry, 26, were sentenced at Hove Crown Court on Friday November 2 following an earlier six-day trial. The pair were linked to six burglaries committed in Horsham and Crawley from January 24 until February 8 2018. A police statement says that officers stopped and arrested Russell, of Dale Close, Horsham on February 8 after he was spotted driving a stolen vehicle in Crawley Road, Horsham. A search of Russell’s home was conducted and a number of stolen items were recovered. 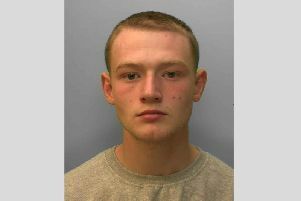 Following extensive investigative work officers were able to identify Russell’s accomplice in the burglaries as Perry, of Meridian Close, Crawley. Both men were charged with conspiracy to commit burglary and appeared at Hove Crown Court where they pleaded not guilty to the charge. Following the jury’s guilty verdict, Judge Henson sentenced both Russell and Perry to seven years in prison. Perry was also sentenced to a further 18 months for a seventh and unlinked burglary committed in Ifield, Crawley on April 9. Tom Carpenter of the West Sussex Community Investigation Team said: “Russell and Perry showed a total disregard for the impact of their actions on the victims and thought they would be able to get away with their behaviour. The sentence given to both parties shows the seriousness of this matter.